It’s that time of year again folks. When all the world needs is a Coke and a smile and everything’s gonna be alright. Well, no coke this year, but the world gets Trump. So we got that goin for us. Click and listen. And whatever Jesus you pray to we hope he had a good birthday. He likes to Jingle the Belles if you know what I’m sayin. 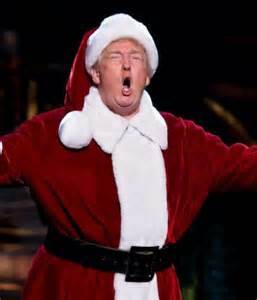 This entry was posted in Podcasts, Politics and tagged Merry Christmas, trump.